Nicki Minaj new album is titled “Queen” and it will arrive on June 15th. 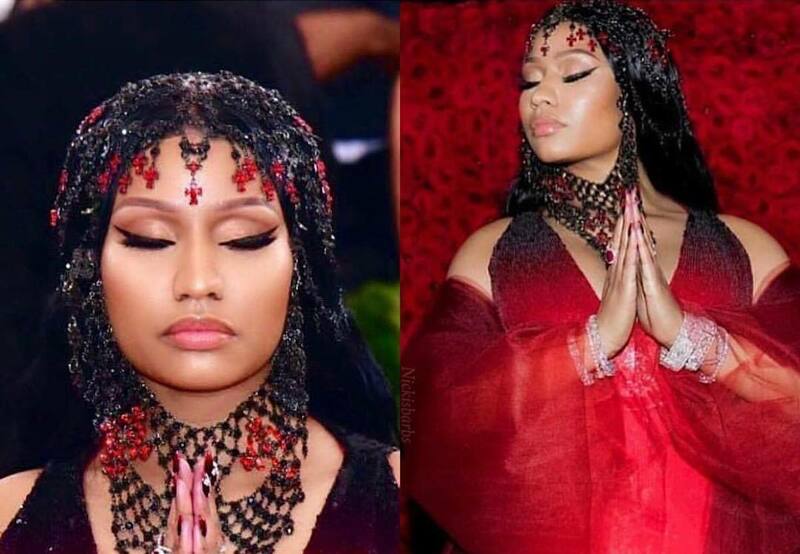 The “Chun-Li” rapper made the announcement during her appearance at the 2018 Met Gala in New York City last night. Nicki Minaj spilled the beans about her upcoming album while speaking to reporters on the red carpet. The album is lead by her two new singles “Chun-Li” and “Barbie Tingz” which are currently doing well on the Billboard Hot 100 chart. Nicki Minaj previously dropped some hints about the title of her forthcoming album during her interview with Zane Lowe on Apple Music’s Beats 1 radio last month. She says the title embodies all that she is today and her fans will love it. The album “Queen” is the follow-up to Nicki’s 2014 LP The PinkPrint which is now certified platinum. She will have a lot of competition next month with other artists dropping albums including Kanye West and her labelmate Drake.